Mawlid, Christmas, Nöel, Natividad, Weihnachts, Рождество etc.– all these words, having different number of letters and different etymology, possess one thing in common: they celebrate the Birth – the birth of the Prophet or of Jesus Christ respectively. Why they may be considered as special PIMIC celebrations? To “have power” does not only mean decision-making, judging, killing and struggling, to have power also means to celebrate religious and secular feasts, births and deaths, marriages and divorces. These celebrations are, on the one hand, the most stable elements in the power-holders’ lives everywhere in PIMIC and non-PIMIC areas – as the rulers know at least that these celebrations should repeatedly happen from year to year; on the other hand, each celebration is a theatre play that is unique, flexible and that never repeats in the same way. These celebrations form the “repeated segments” of our PIMIC research, they are everywhere in our articles, in our thesis, in our minds. So we have a double reason and right to celebrate these holidays with joy and pleasure! Nowadays these holidays keep so many institutionalized elements, don’t they? They were institutionalized by the power-holders. Nobody doubts this fact. 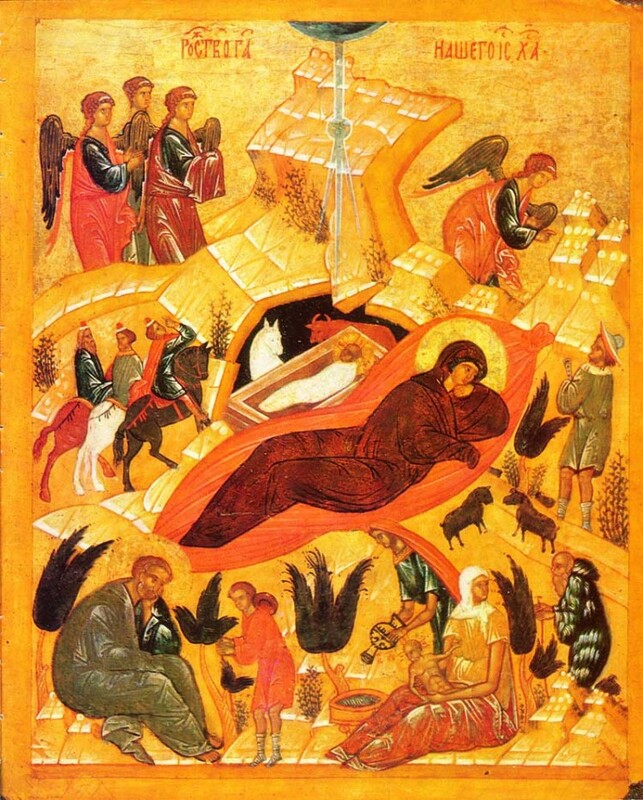 However, a wonderful idea that the official celebration of the birth of Jesus Christ and that of the Prophet can reinforce rulers’ power that was in the background of such institutionalization, came to the rulers’ minds quite late in all regions: it took several centuries to introduce these celebrations to the lists of official ceremonies in Islam, Byzantium and West. The Fatimid dynasty of Egypt is known to have celebrated the Prophet’s birthday as a state occasion: the first documented event relates to the year 517AH. The first recorded celebration of Christmas in Rome is the year 336, coming from the compilation of the year 354, when for the first time in the known to the historians sources appear the words “natus Christus in Betleem Judeae”. It seems that in both cases the Births began to be celebrated first by private “agents”, long before the rise of official court ceremonies and the rulers, as they often do, just used the idea for their own good. The delay with the “institutionalizing” of the celebrations meant that nobody remembered exactly when Jesus Christ and Prophet Muhammad were born, so the dates needed to be calculated and medieval intellectuals had fun doing it. Nowadays, Mawlid is celebrated often on the 12th day of Rabi’ al-awwal, the third month in the Islamic calendar. This means that in order to understand when Mawlid should be celebrated according to the western Gregorian calendar, one should take away 10 days from the previous year’s date. This year is special, because we have two Mawlids: the 3rd of January and the 23rd of December. However, keep in mind: the 12th Day of Rabi’ al-awwall is the most popular date from a list of many dates that are reported as the birth date, alternative days also exist. It is evident that no one knows for sure on what day Christ was born, as we don’t know the date for the Prophet Muhammad. Dionysus Exiguus, a 6th-century monk, was the first to date the event from December 25th, other traditions propose dates from mid-November to the March. However, as to introduce a new feast always serves for some purposes not directly linked to the reason of celebration, for instance, if the ruler needs to lower the importance of another feast, a pagan one. December 25th finally won the battle of dates: different European cultures observed feasts on or around December 25th, marking the winter solstice. In ancient Rome the pagan festival of Saturnalia was held around this time, Germans and Scandinavians had the Yule also in December/January. 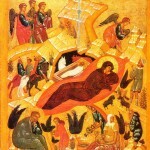 In some of the Orthodox churches the celebration takes place on the 7th of January (the differences lie among, on the one hand, the Church of Jerusalem, Russian church, Georgian church, Serbian church and, on the other hand, the Church of Constantinople, for instance) and, as is well known, the difference is due to the difference between Gregorian and Julian Calendars. 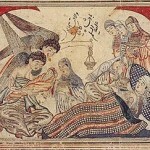 Mawlid and Christmas are not unique holidays in Islam and Christendom: they are ones in a series of commemorations of joyful events, although they had different places in the hierarchy of celebrations: while Christmas managed to win the second place in the order of holidays within different areas of Christendom, Mawlid seems not to have a fixed place in a hierarchy of Islamic holidays, but in general holding a very important place in the feast enumerations. Although in our modern times at least Christmas is overgrowing more and more by secular features, both Christmas and Mawlid are religious celebrations. Mawlid always involves the opening of the holy places and the veneration of the site of the Prophet’s birth. It is also “a noble day on which it is desirable to fast and to perform supererogatory acts of charity”. The provenance of the word “Christmas” from Old English: Crīstesmæsse, meaning “Christ’s Mass” underlines the religious background, even if nowadays dinner seems to become a more important element of the celebration, than the mass itself. In Christendom, obsessed by food nowadays, nobody shares the idea of fasting on the 25th of December or the 7th of January: on the contrary, a traditional Christmas dinner should be prepared long in advance and contain the biggest variety of tasty things, varying from country to country, as the region is not a heterogeneous whole. However, a traditional long and strict fasting precedes the celebration. Mawlid seems to be more pious celebration, however, it also presupposes the presence of sweet things on the tables. Feasts always mean gift giving and gift exchanging, while the process of the development of systems often mean the distribution of models from the top to the bottom. The history of gift giving also began by the distribution of sweets to state and religious functionaries by the Fatimid dynasty, and only with centuries the whole societies of Islam and West began a global Christmas and Mawlid gift exchanging. Nowadays, no one can imagine Christmas without Santa Claus (Saint Nicolas), even if this figure as a Christmas element appeared much later than the official celebration itself. Several times contested (have you even encountered any important institution, which existence was never contested? ), these celebrations keep being important traditions in the whole PIMIC region. They are different among regions, they played different role within regions, but they are all very PIMIC-related celebrations. Marry Christmas and Happy and Blessed Mawlid to whom it may concern! By Evgeniya Shelina, Institute of History, CCHS-CSIC, Madrid.